This winter was like the villain in a horror movie. Every time you thought it was dead, it clawed its way back. But after one more snowy setback last week, I think Spring has finally sprung here in New York. And I couldn’t be happier about it. Except for one important detail. As soon as the temperature hits 60, people start worrying about slimming down for swimsuit season—and forget all about the rest of their health. Now, you know I applaud and encourage your efforts to drop any excess pounds you might be carrying around. But it’s absolutely critical not to let everything else slide in the meantime. Especially your immune health. 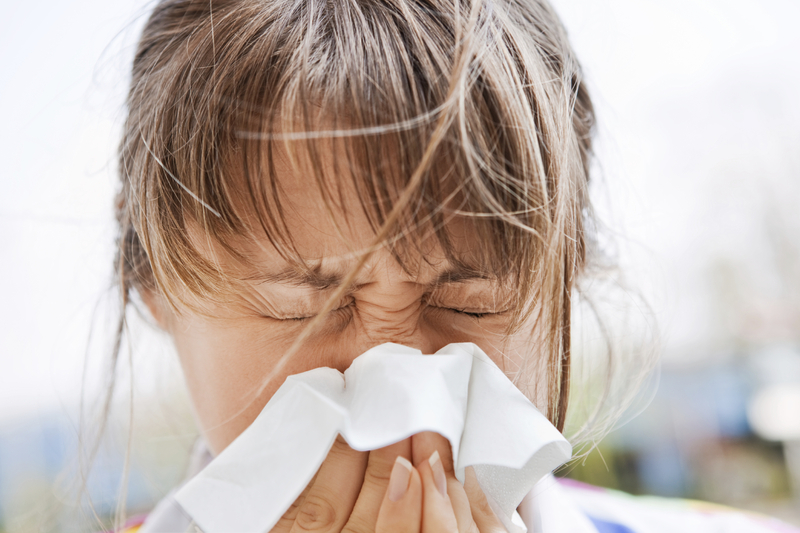 It might seem like winter poses more threats to your immunity. But the truth is, there’s a good chance your immune system is taking a major hit all year long. In fact, right now, over 40 million adults are suffering from a condition called immunosenescence. If you haven’t heard of it before, I’m not surprised. Scientists only discovered it 45 years ago (relatively recently, in the medical research world). And the research didn’t really pick up until the late 1990s. So there’s a lot we still don’t know about immunosenescence. But what scientists have found is frightening, to say the least. According to one study, immunosenescence is directly responsible for the staggering toll the flu can take on older patients each year. And it’s the primary reason the flu vaccine is such a dismal failure in older people. In fact, people over age 65 account for more than 90% of the deaths from flu. Plus, older patients are at significantly higher risk of developing complications from the flu. Like pneumonia. And immunosenesence automatically makes you more vulnerable to outbreaks of dangerous—even deadly—viruses. For instance, during the 2002 West Nile Virus outbreak in the U.S., the majority of the 4,156 cases occurred in people over age 50. And the average age of victims who died as a result of this outbreak was 78. Age is the No. 1 risk factor for Alzheimer’s disease. And as life expectancy continues its upward trend, rates of this devastating illness are expected to triple in the next 35 years. These consequences make sense, considering one of the hallmarks of immunosenescence is a dramatic increase in inflammation. And as I’ve told you many times before, inflammation is behind just about every chronic health problem there is—from heart disease to COPD to diabetes, Alzheimer’s, and cancer. All this makes immunosenescence one of the most frightening—and dangerous—aspects of aging. It sneaks up on you without much warning. Which is why it’s one of the first things I check for in my patients. The beginning stages usually begin to appear in your 50s. And they’re not as dramatic as you might think, considering the potential risks involved. You may feel tired, sluggish…or just plain “worn out”. In fact, most people chalk it up to “just getting older”. But obviously, it’s a lot more serious than that. Both the CDC and NIH have admitted immunosenescence is a real threat. And three separate international conferences have convened to try and understand it. But so far, they haven’t turned up any answers. Let alone any solutions. But I’ve been investigating immunosenescence for over two decades now. And what I’ve uncovered is vital information for every person over the age of 50.